The girls didn't sleep on the plane (they watched shows instead). We arrived in Beijing around 10pm (11pm Japan time). We quickly noticed the smoggy air and crazy drivers in Beijing. The girls slept during the car ride, and even when we were checking in at the hotel, they were sleeping on the lobby chairs. We went up to our room and were absolutely shocked. Amazed. Our friend who works for Marriott pulled strings for us to receive an upgrade, and what an upgrade it was. We are staying in a 2-bedroom, 2.5-bath apartment with its own dining room, living room, and kitchen. 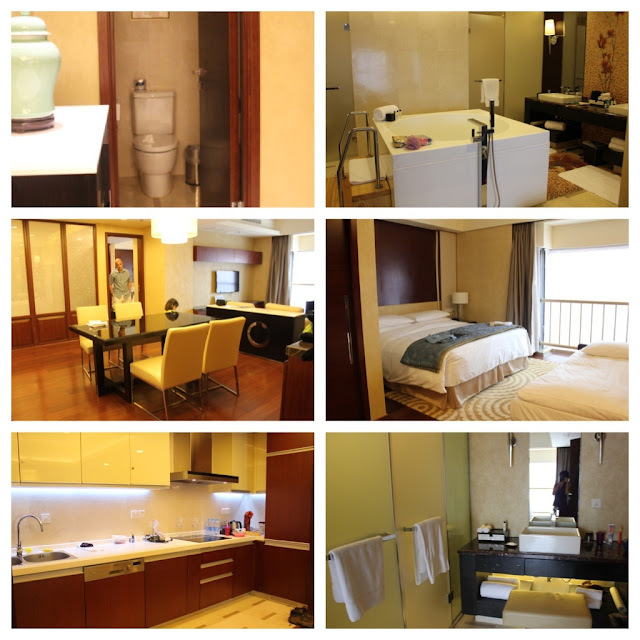 We have never stayed at a place so nice before (the pics were taken today). The girls didn't even change into their PJs. It was past 11pm at this point. They crawled into bed and slept through the night. We got up around 7:30am to start the day. At the lobby we were met by our tour guide for the day, David. He was great. He spoke great English and was super nice. He gave us a lot of background history on the places we visited. 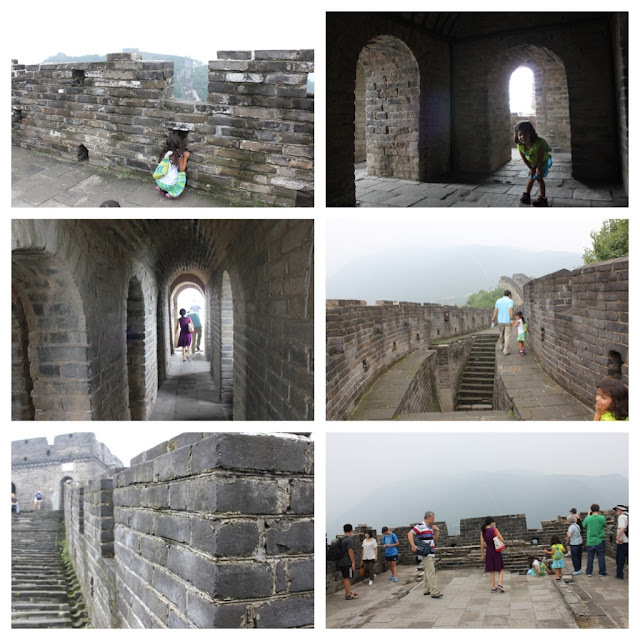 Our first stop was the Great Wall. 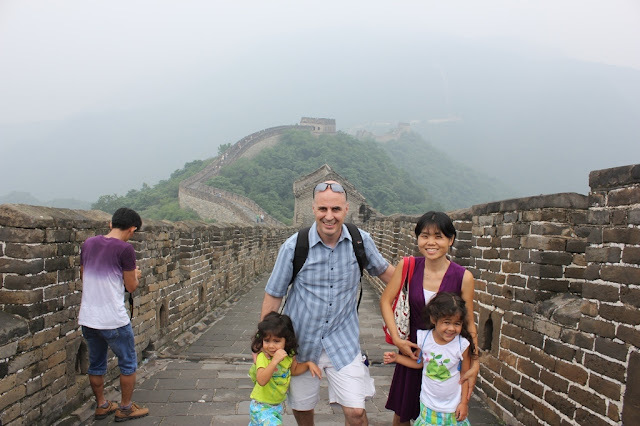 We visited the Mutianyu Great Wall, which they say is less crowded and is the best section to experience the Great Wall. It was about an hour and 20 min ride there. 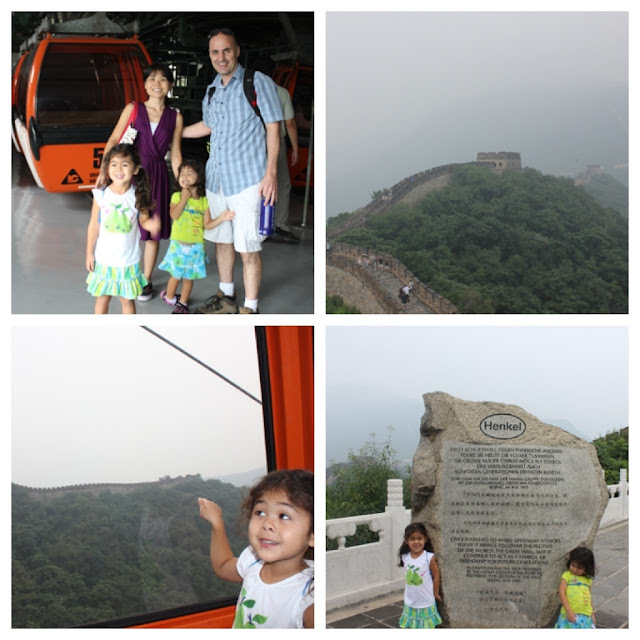 We rode on the cable car up the mountain to the wall and again back down. It was a cloudy day (not sure if Beijing ever has a sunny day with all this smog), but the view was still breathtaking. I kept hearing Allan whisper over and over again, "This is awesome." At the bottom of the mountain there were lots of vendors. 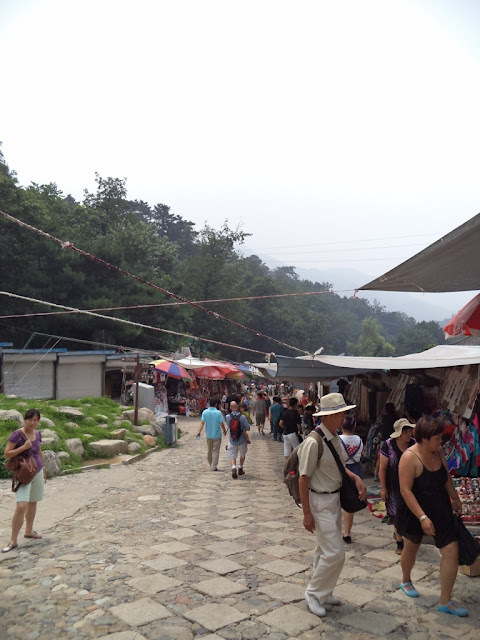 Our tour guide told us to avoid these vendors, as they are often overpriced and will try to take advantage of tourists. After the Great Wall, we drove about 15 min to experience some authentic Chinese food for lunch. David (our tour guide) took care of everything (we just told him we wanted authentic Chinese). 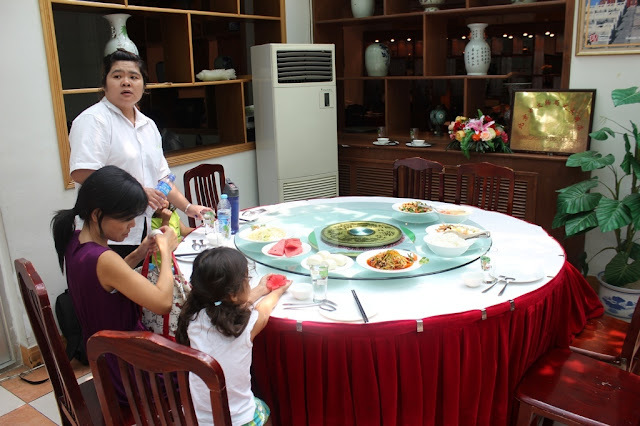 When we arrived, the food was already spread out on the table, ready to be enjoyed. David and our driver insisted on eating in the other room (they told us our table was only for VIPs). We really wished they would have eaten with us! At first, we thought there were WAY too much food. We quickly realized how DELICIOUS everything was. We pretty much cleared everything on the table. 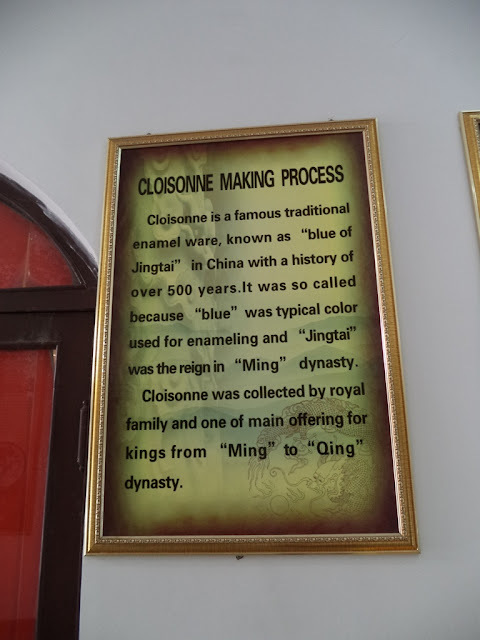 Right next to the restaurant was a small factory that made Cloisonne, famous traditional enamel-ware. We received a quick tour of the place. Afterwards we allowed our girls to pick out their Christmas ornament for this year from the gift shop (we picked one up for Siana too). 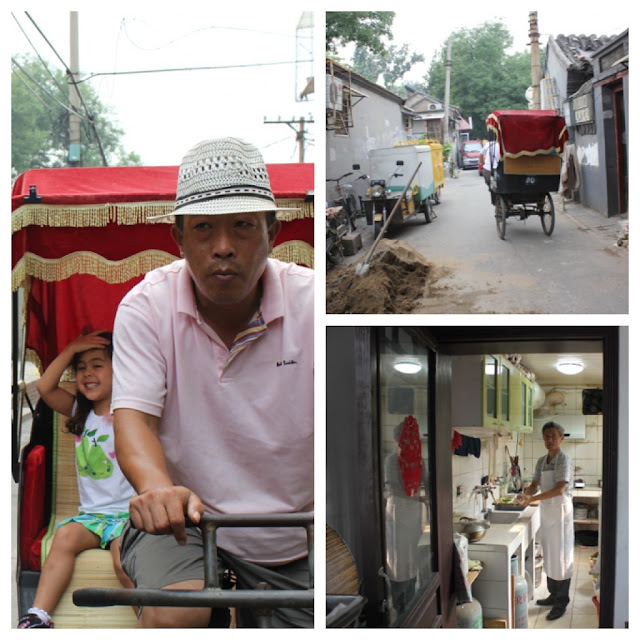 We drove back into the city and headed to Hutong, which is "old Beijing." 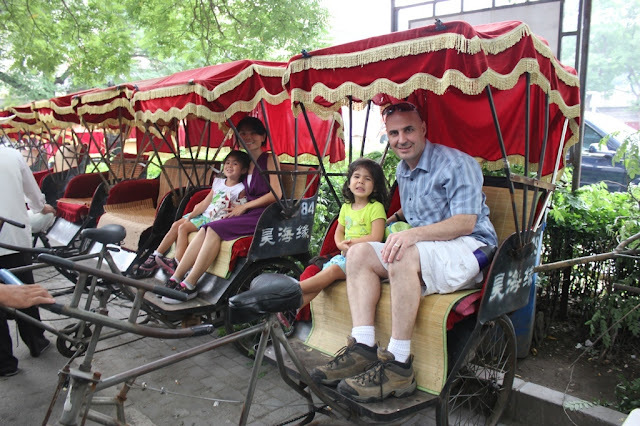 We took a tour of Hutong riding on rickshaws. 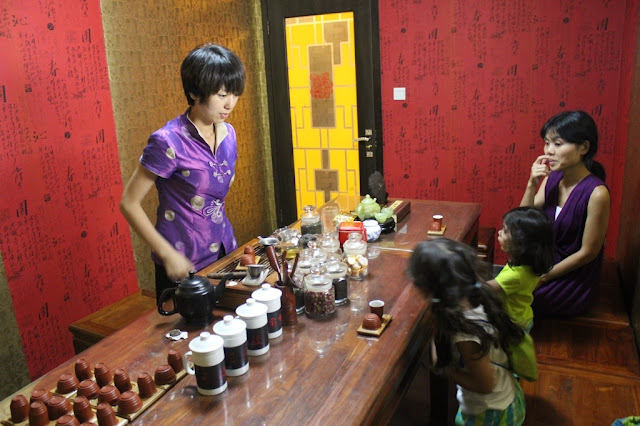 In Hutong, we visited inside one of the houses to see how they lived. 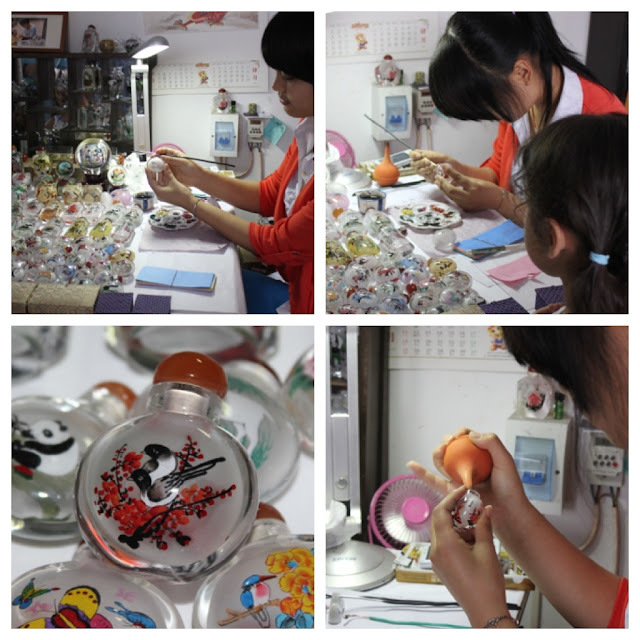 This family that we visited was famous for their artwork of painting from the inside of a glass jar/ornament. We picked one that we liked, and she painted "Parry" on it for us. Our last stop was at the Bell Tower (two towers in old Beijing are called Bell Tower and Drum Tower), where they performed a tea ceremony for us. The girls were getting pretty antsy by this point, but the various teas Allan and I tasted there were delicious! Finally we came back to the hotel (which was around 4:30pm). It was an unbelievable, fun day! 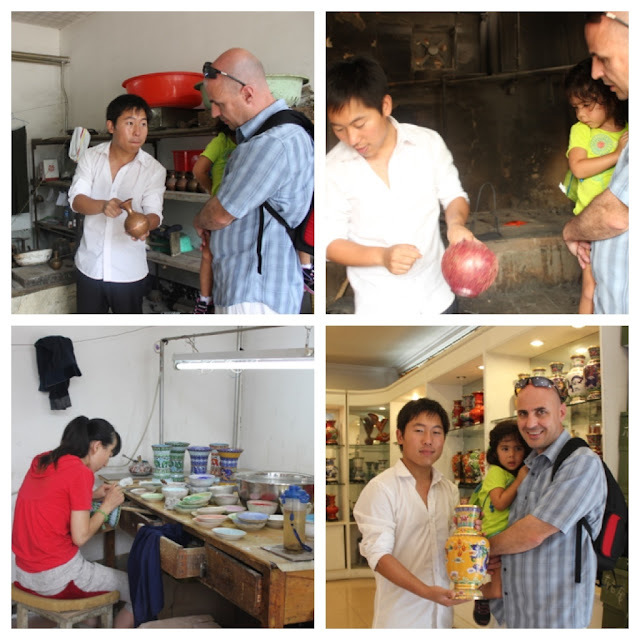 I couldn't believe how much of Chinese culture/attractions we were able to experience in just one day. The girls are still doing well. LittleBit is getting a bit more whiney, but I don't blame her considering all the craziness we have put them through this past week. 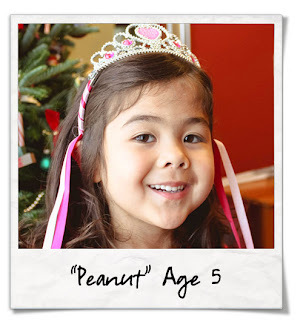 Peanut is really showing some maturity. 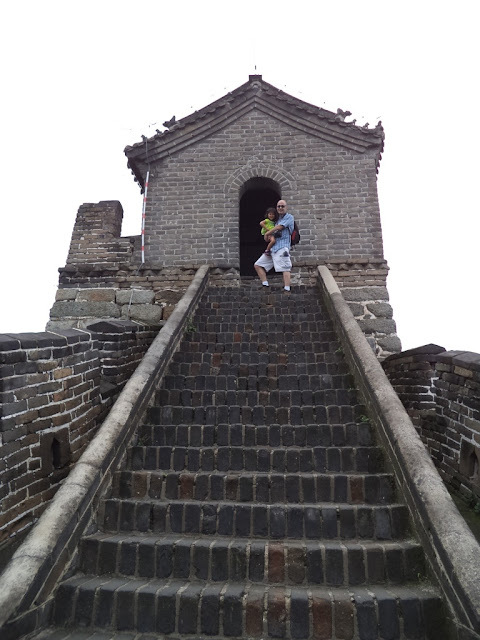 While LittleBit wanted to be carried most of the time we were walking on the Great Wall, Peanut was such a trooper by holding our tour guide's hand and walking the whole time without complaining. 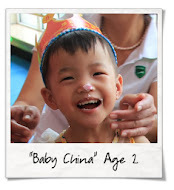 Even in China we get asked if they are twins. 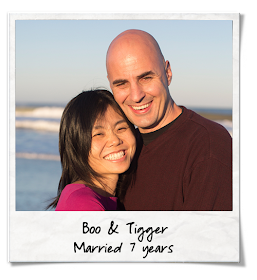 I think I forget about their age difference too; I have to remember that our LittleBit is only three. 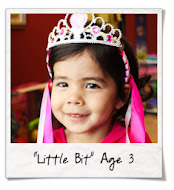 Please pray for her little heart as she prepares to welcome her new sister. Wow. What a day. More adventures ahead tomorrow.